It is said that strong pillars are necessary for every structure to remain intact. Retail industry is also like a structure which needs pillars in the form of call center services from a renowned outsourcing vendor to stay strong in the cut throat competition. Let’s us go through these pillars of retail contact centers which have potential to boost the business of retail industry. 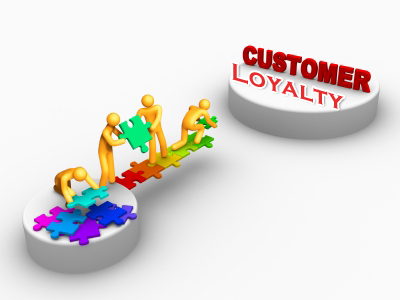 Success in retail environment is very much dependent on how you offer support throughout the life cycle of a customer. This support does not rely only on phone for helping the customers. In fact, a huge percentage of customers prefer channels like email, social media and online chat to clarify their doubts. Let’s go through the importance of these channels. Email – This is the most trustworthy among customers as they believe the issue will be solved more effectively through it than any other medium. Also, ability of customers to keep the email as the record ensures them that they can use it in future in case of any dispute with the company. Social Media – Various customers prefer social media as other people can also see the issue or complaint of the customer associated with the brand. On the other hand, by providing positive customer experience, retailers can show the target customers how they care about their customers. Therefore, it is beneficial for both customers and companies. Live chat – Online retailers can derive maximum advantage of this medium though it is beneficial for brick and mortar stores too. While checking the website of a retailer, website visitors can immediately clarify their doubts using live chat on company’s site. By providing optimum answers of the customer queries, the online retailers can successfully convert website visitors into customers. All these benefits related to customer support provided by retail contact centers play a key role in improving the sales of the retailers. 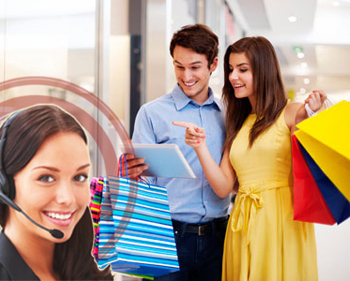 We have gone through the vitality of customer care support related to retail industry during regular days. But holiday seasons need special attention in terms of customer support as the number of calls is skyrocketed during these seasons. Usually, the in-house call centers of retail firms are not able to cope with high volume of calls due to lack of enough workforce. Hiring and training agents for this season is not a practical and cost-effective idea. For these scenarios, retail call centers appear as savior as they have enough workstations and employees for handling the rush during holidays for retailers effectively. The agents of these firms have specially trained the agents to answer the query within the reasonable time for every touch point. There is hardly any retailer who will not prefer top-line revenue with the implementation of innovative methods. Call centers for retail industry have agents which are well-versed in influencing people through the use of right words and product’s technical knowledge. As a result, customers either purchase a product of a higher value or an additional product along with their original purchase. This makes sure that additional sales are added in the account of retail firms. It is obvious that good customer support gives good experience to your customers. But will they return again in the future for making a purchase? Answer to the question lies in the two factors. Very first one is good quality of product and competitive prices offered by you. But there is possibility that your competitor may be offering the same. So, how to win customer then? Here, we come to another factor and that is finest customer support. This is where you can give an edge to your competitor and get assurance that your customer will stick to your company. Here comes the role of call centers which already are proficient in giving delightful time to customers. Along with customer support agents, these call centers also employ support staff which have sole aim of improving the customer communication. Quality analysts, trainers and supervisors are specially allotted to ensure that customers have a great time interacting with firm. There is possibility that end customers of your retail business belong to a group that does not use English as their main language. In that scenario, providing a customer support with agents having proficiency in the main language of these target groups becomes crucial for the business. Call center firms offering services to retail industry usually hire agents which also have skills related to communication in languages like Spanish, French and German etc. Taking support of these call centers can bring a huge difference to the business. Each pillar of call center services discussed above has the capability to turn an average retail firm into renowned brand which is loved by the customers. Therefore, investing in the services of call center can be turning point for these retailers.